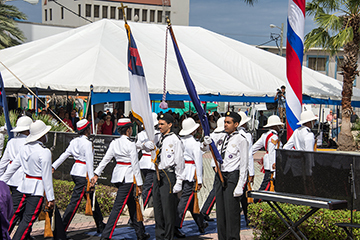 We put down our anchor offshore of George Town, capital and largest city of the modestly named Grand Cayman Island, the largest of the three Cayman Islands. The island is about 22 miles or 35 kilometers long, with its widest point 8 miles or 13 kilometers. Of the three populated islands in the chain Grand Cayman represents more than three-quarters of the territory’s land mass and nearly all of its 56,000 people. About 75 miles or 121 kilometers to the northeast is Little Cayman, and a bit further in that direction is Cayman Brac; between the two “sister islands” are about 2,000 residents. The Cayman Islands are the peaks of a massive underwater ridge, known as the Cayman Ridge, which flanks the Cayman Trough, 6,000 meters or 20,000 feet deep, which lies 6 kilometers or 4 miles to the south. All three islands were formed by large coral heads covering submerged ice age peaks. The first European spotting of the islands was by that most obvious of suspects: Christopher Columbus, in 1503. By 1530, all three of the islands were called the Caimanas, derived from the Carib word for the marine crocodile that once was common. The Cayman Islands today are a British Overseas Territory, somewhere between a colony and an independent nation. 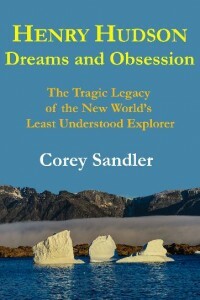 They are on a U.N. list of the last non-self-governing territories. We arrived on National Heroes Day, a very British celebration of local dignitaries, presided over by Queen Elizabeth II’s representative, the appointed governor of the island territory. 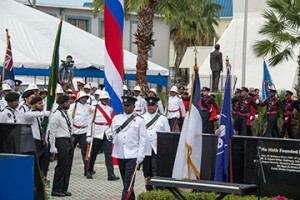 National Heroes Day on Grand Cayman. 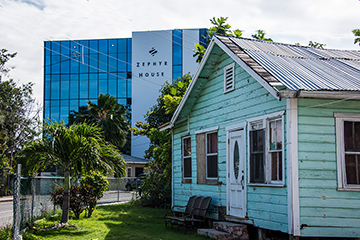 A glimpse of old Cayman, in the shadow of one of the office towers holding lawyers, accountants, bankers, and the paperwork for 100,000 or so companies from around the world. In terms of numbers of jobs, the economy is based around tourism. But there is also a somewhat hidden economy which you can glimpse in the skyline and some of the nameplates on buildings: well-known banks and accounting firms. The Cayman Islands is one of the world’s leading offshore financial havens for wealthy individuals, businesses, and investment firms. In fact, the Caymans have more registered businesses than people. There are about 600 banks and trust companies, and by one count branches or affiliates of 43 of the 50 largest banks in the world. And about 100,000 corporations and financial entities, twice the number of people in the territory. Precise figures are hard to come by, but many experts believe the Cayman Islands are the fifth-largest banking center in the world, with something on the order of $1.5 trillion, that’s trillion with a “T” in banking liabilities. Financial services represent something on the order of 55 percent of the total economy, 36 percent of all employment, and 40 percent of all government revenue. The authorities have faced challenges from international regulatory groups, flirting with the Organisation for Economic Co-operation and Development (OECD) blacklist for a while. There is no direct taxation on residents and Cayman Islands companies. There are no taxes on corporate profits, capital gains, or personal income. There are no estate or death inheritance taxes payable on Cayman Islands real estate or other assets held in the Cayman Islands. The government charges flat licensing fees on financial institutions that operate in the islands and there are work permit fees on foreign labor. And then there is a duty levied against most imported goods, in the range of 22 to 25 percent; even higher on high-priced automobiles, of which you will see more than a few. Back to tourism, though: and so, while passenger counts in the Caribbean have been increasing every year recently, they have leveled off or declined in Grand Cayman. One reason is the lack of a dock large enough for major ships. The government of Grand Cayman Island has proposed to build a $250 million berthing facility that would provide docking and direct shore access to as many as four cruise ships at once. Four huge ships, that is. But the island’s own Department of Environment has said that construction and dredging for the port would damage about 15 acres of reefs and animal habitat and damage another 15 acres. And the turbulence stirred up by thrusters and propellers of the ships coming all the way into the harbor would bring additional damage. On a purely financial basis, having the dock would allow many more guests to come ashore directly and spend money in the gift shops and restaurants…but some say the damage would take away some of the principal reasons tourists come to George Town: to snorkel, swim, or otherwise enjoy the pristine waters. 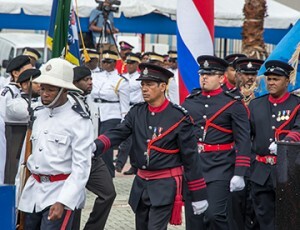 In October 2015, the Cayman government said it intended to push through on plans for a dock. In the mean time, our small luxury ship will use our tender boats bring us to shore. That’s apparently not pleasing to the owners and passengers of the megaships, which sounds rather grand to me.